More than a cookbook, Preservation The Art and Science of Canning, Fermentation and Dehydration demystifies the scientific concepts that inform the methods of food preservation in an easy to understand way. Taking Julia Child as her inspiration, certified Master Food Preserver Christina Ward has collected and translated both the scientific and experiential information that has long been the sole domain of academic scientists and elite chefs. Forward by Nancy Singleton Hachisu, an expert in Japanese food traditions. Her second book, Preserving the Japanese Way, was nominated for the 2016 James Beard Award in the International Cookbook category. 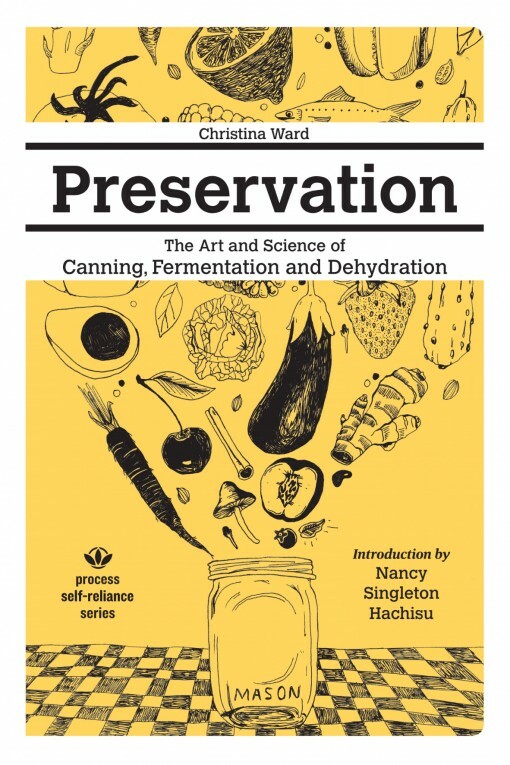 For fans of Alton Brown, Kenji Alt-Lopez, and Harold McGee, Preservation The Art and Science of Canning, Fermentation and Dehydration is the guide you never knew you needed. You’ll never look at a jar of strawberry jam the same way. Christina Ward teaches notoriously raucous preservation classes and serves as a volunteer mentor to urban farmers, small-scale food producers, and question answerer for people all over the country trying to save their pickles from disaster. Her love of teaching is evident on every page as complicated scientific concepts are simplified and explained with precision and humor.